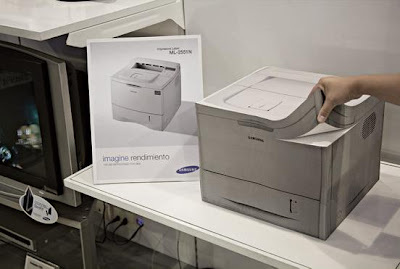 What looks like a real printer is actually a stack of paper. 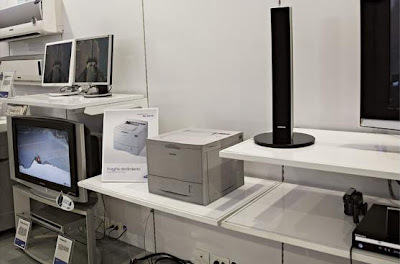 Top page is printed with the printer image while the single page with the edge print won't show at all and thus can be used like normal paper. 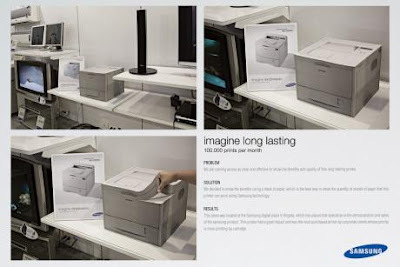 Cool idea by advertising agency: Leo Burnett, for Samsung Printer "Imagine long lasting. 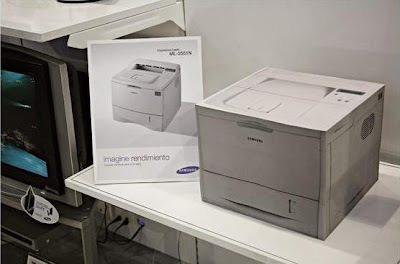 100.000 prints per month". Lilypad - A Floating Ecopolis. Eureka Tower Carpark By Axel Peemoeller.